March 7th of 2007, Fable was interviewed and played "Stray" and "Numb" on 15 Minutes of Fame on 106.7 KMX, Dothan Alabama. March 9th of 2008 Fable was on "The Middle Of Nowhere" on 97x Panama City Florida. They interviewed Fable and played one of their newest songs "Identity" which is now in regular rotation on the show. 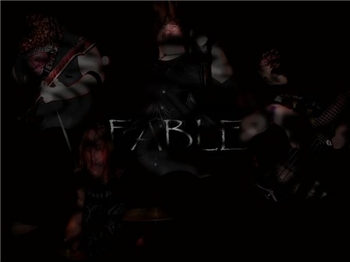 Fable is a four piece hard rock/metal band from Andalusia Alabama. Emerging from a town where the only music was considered country and southern-rock, Fable started out in a scene that was virtually non-existant. Striving to be something different from your average band, Fable pours their heart and souls into music that means something to them. After gaining loyal fans and with the help of up and coming local rock bands, Fable layed solid foundation towards Andalusia's thriving rock scene. Whether in front of a crowd of 2000 or 2, Fable is determined to play to the best of their ability and perform with every ounce of energy in their body. If they walk away from a show without being exhausted they know they could of done a better job. Fable beileves in giving the crowd the best shows possible. 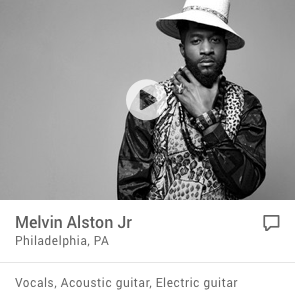 With originals and covers, they beileve that the music should sound like the recorded album. Fable puts a lot of time and pride into writing and learning their material. They are a noise that demands to be heard, so listen up and let the music sink in.